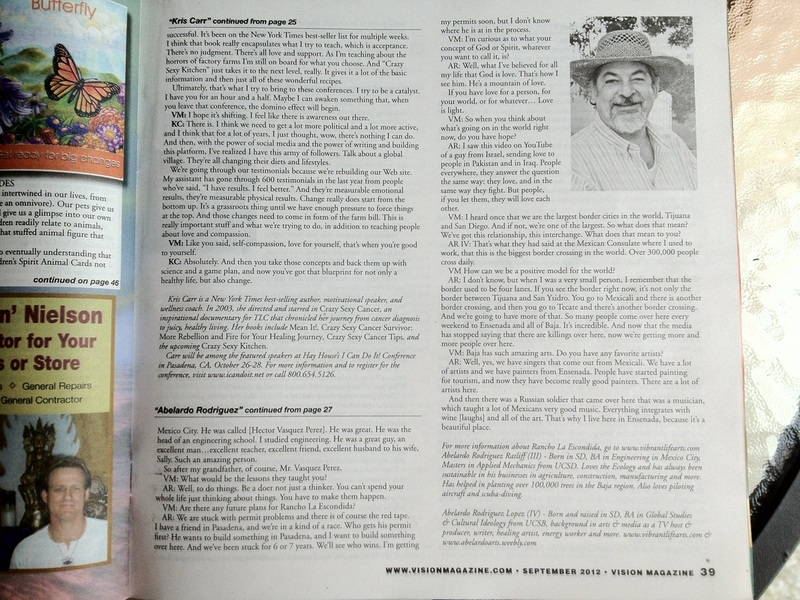 In Vision Magazine's September issue, Executive Editor & Publisher Sydney Murray interviewed with Abelardo Rodriguez Ratliff and Abelardo Rodriguez Lopez. 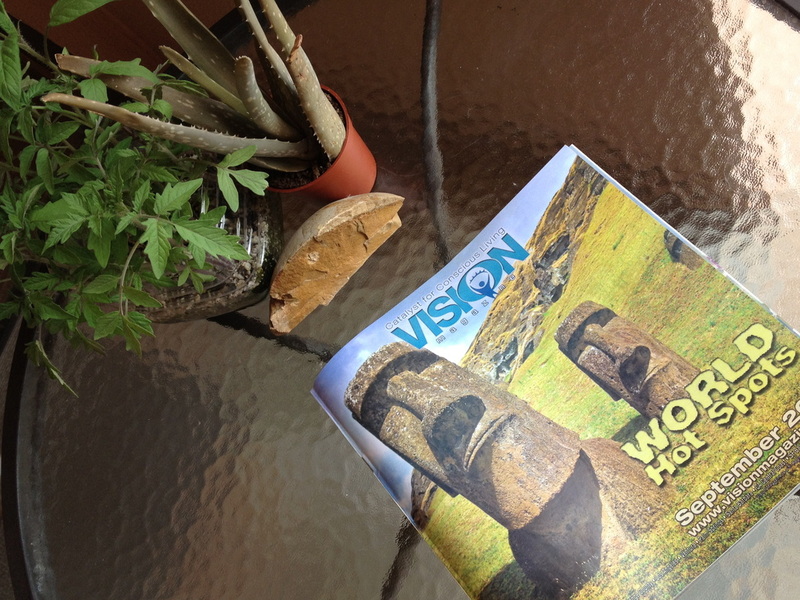 The issue itself focuses on Global HotSpots and when Sydney and I met, we connected on many issues including Baja as an important historical venue for all San Diegan's. 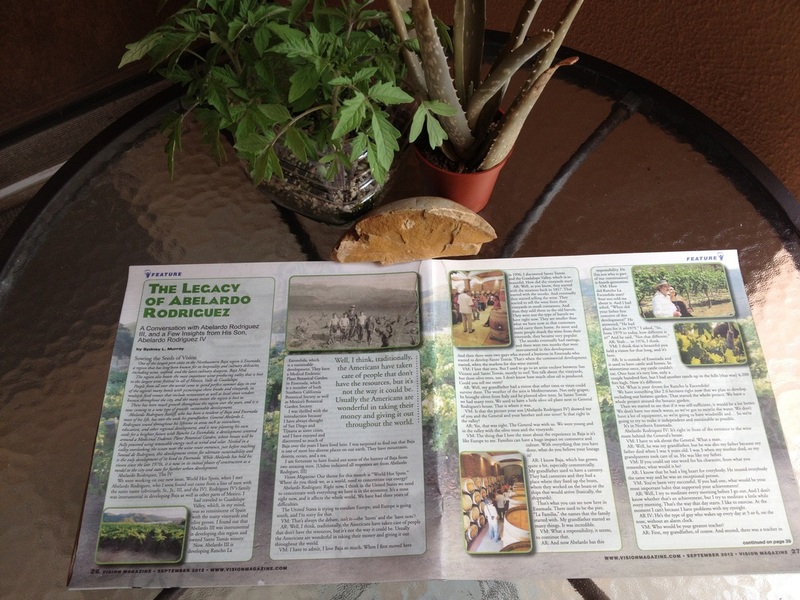 I mentioned to her that my G Grandfather was a pioneer in Baja and Mexico and there sparked a conversation which lasted at least an hour by phone, where she mentioned her interest in interviewing my dad, Abelardo Rodriguez Ratliff, as part of a feature of Baja as a Global HotSpot and where we could talk about Baja as the main wine region in Mexico. 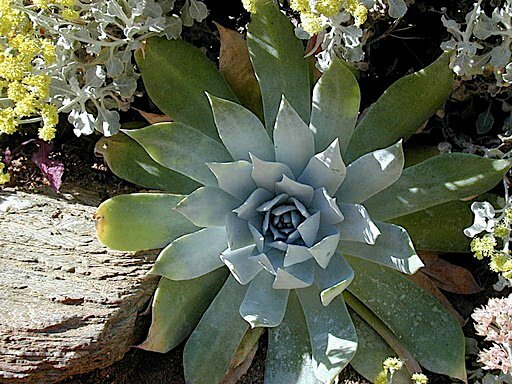 The article also mentions Rancho La Escondida as a Sustainable Development which is part of the Abelardo Rodriguez legacy and which utilizes Renewable Energy to fully power each house in the development and Todos Santos Botanical Garden, which will house almost 3,000 of the Baja/California bio-regions' endemic plant varieties. Rancho La Escondida is a unique development situated in Ensenada that has sustainability in mind. Tackling some of the challenges of modern society, the design focuses on harnessing renewable energy such as wind and solar, to create your own household energy as well as the capacity and the flexibility to be on the electric grid if necessary which cuts down energy bills significantly. Located about an hour south of the Border, Rancho La Escondida is the only project in the Municipality of Ensenada's Urban Zone currently of this nature. The Development is projected as a multi-phase plan that will continue to grow thanks to you. 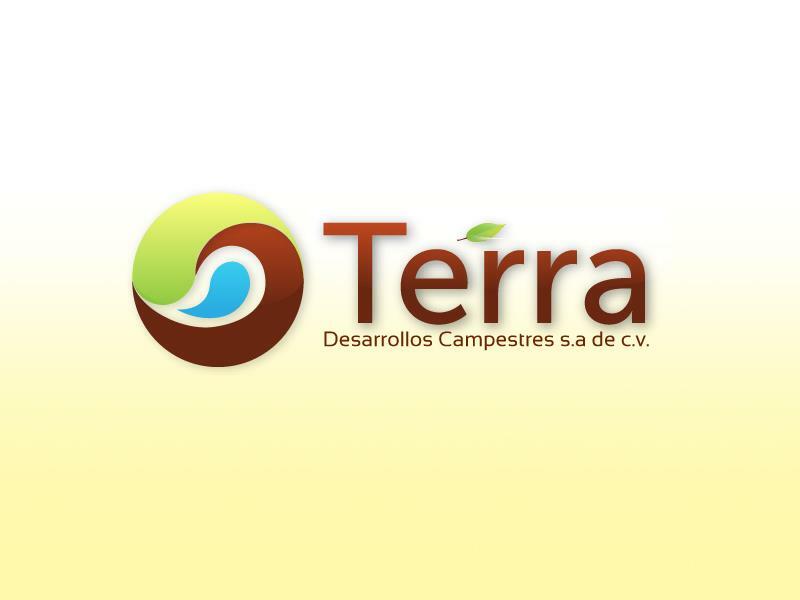 Currently in primary construction stage, this is the perfect opportunity to invest in a parcel of land in one of Baja's unique sustainable projects. 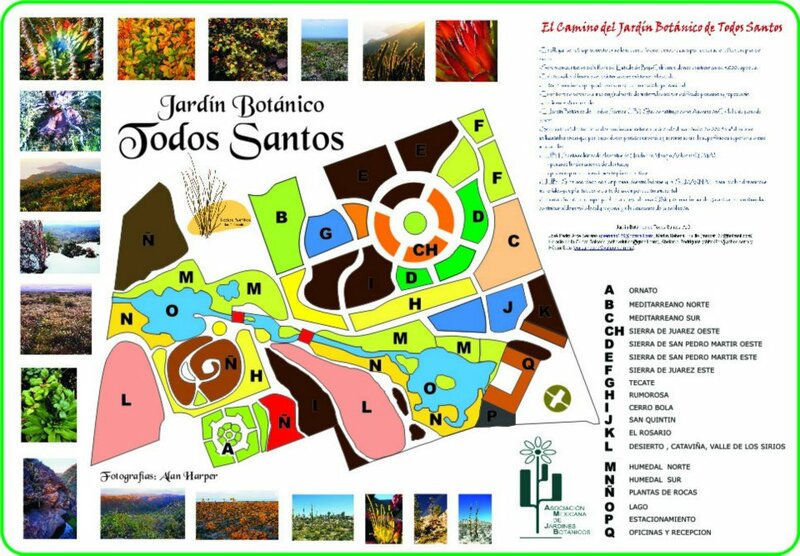 Todos Santos is the projected Botanical Garden with Endemic Medicinal Plants and Herbs. This area will provide a natural outdoor museum to learn about the regional plants.